Sandhoppers in your sleeping bag, a sloping shore and not getting much sleep. Some think kipping on a beach won’t be a whole heap of fun. 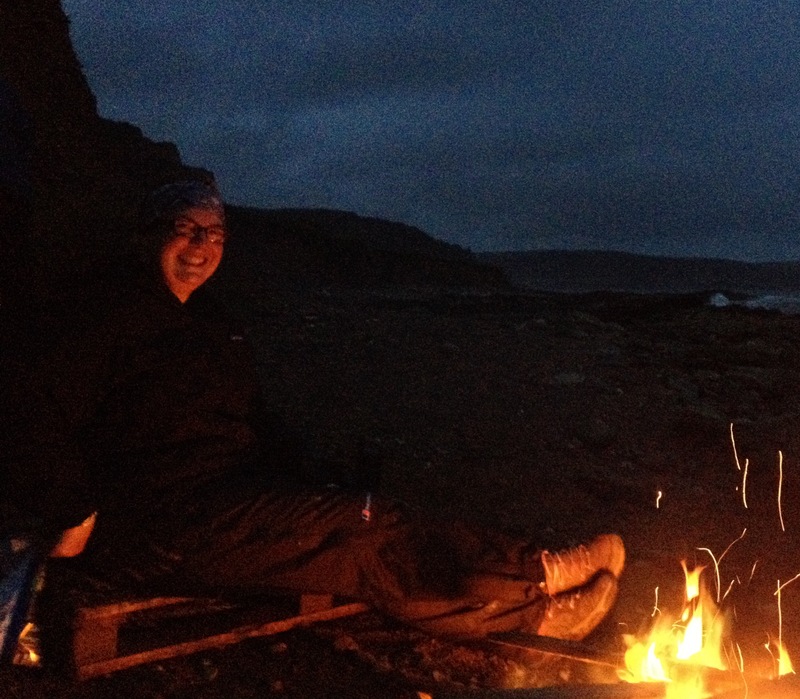 But that’d mean missing out on big driftwood fires, a soothing soundtrack of waves and an array of glittering stars. I’m writing this on a beach in the dark. 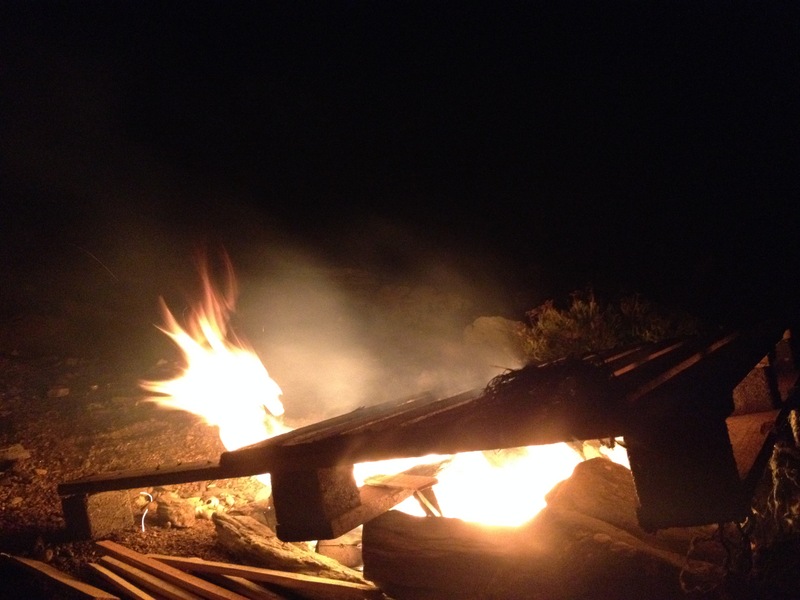 The embers of a driftwood fire are still glowing and the smoke is still wafting into my eyes. A lighthouse beam sweeps across the sea. On the horizon of a sky full of stars sits Orion, low and tilted at a crazy angle, as if he’s had a bit too much to drink. The bivvy bags of my sleep-out companions are scattered around. They are fellow GetOutside Champions the Two Blondes and outdoors enthusiast Ju Lewis. We’ve also been joined by Ju’s Awesome Adventure Chum (AAC). Why Awesome? Well, AAC has just earned Legend Status by meeting up with us on the beach. 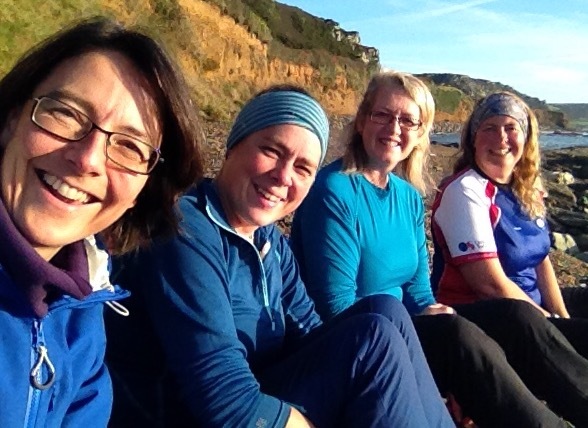 This involved packing her rucksack, parking her kids with friends, borrowing a head torch from a neighbour, and setting off along the coast path in the drizzly dark, not entirely sure where we’d be. As she searched she decided she’d sleep out anyway even if she didn’t find us. Eventually she saw our campfire and scrambled down the shore. Which makes her pretty darned awesome in my view. Because tracking us down in the dark took determination and a hefty dollop of guts. There were loads of points when she could have turned back. It would always have been easier to stay inside. And AAC is in someways like everyone who manages to spend time in the great outdoors. Each is actually at least a little bit of a hero, because each is juggling those GetOutside moments along with work, busy lives and big commitments. Like AAC they’ve realised this is something they want, perhaps even need, to do. 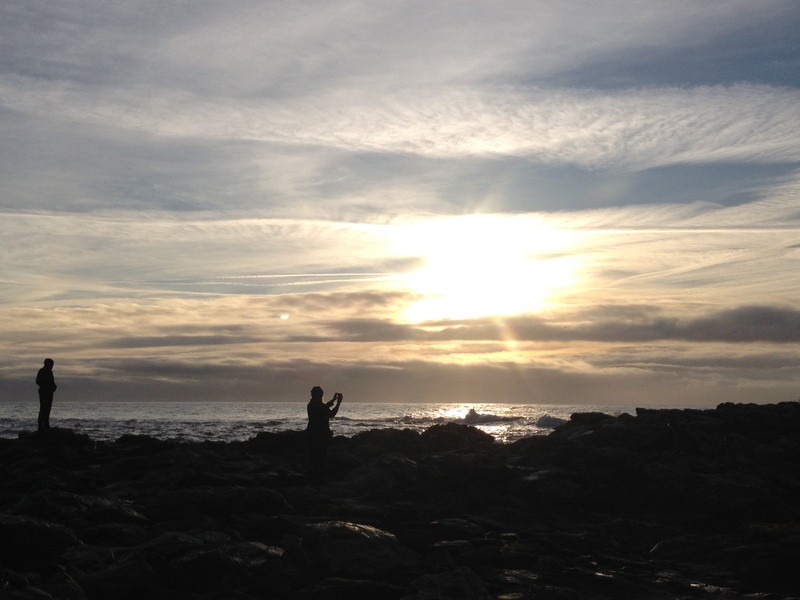 For so many of us it’s about a kind of ‘outdoors reset to factory settings’, to quote wild swimmer Sophie Pierce. 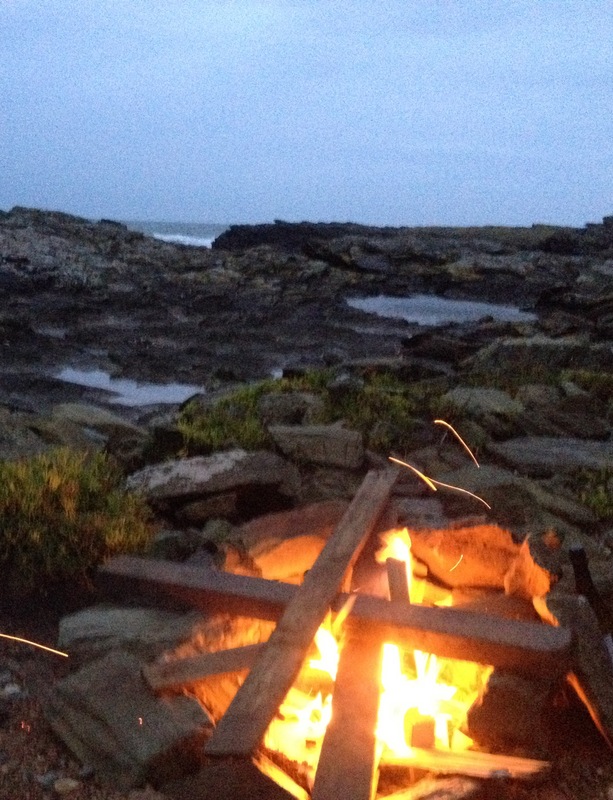 A chance to recharge and reconnect, to cement friendships and sometimes laugh around a beach campfire. That’s why this year it’s been a genuine pleasure to be an Ordnance Survey GetOutside Champion. The campaign aims to inspire people to spend time outdoors as a way of improving physical and mental health. And it works. Step outside the door, take a moment to look up at the sky and even in the city you can feel tension reduce and worries fall more towards their rightful place. And whatever the activity, whatever your current (or who knows new) passion the GetOutside website is full of information and advice. Walk, run, camp, cycle, swim, kayak, SUP, climb – the options, and the smiles, are endless when you GetOutside. My bivvy companions have also written about our mini adventure – do check out the fine posts from the Two Blondes and Ju Lewis.